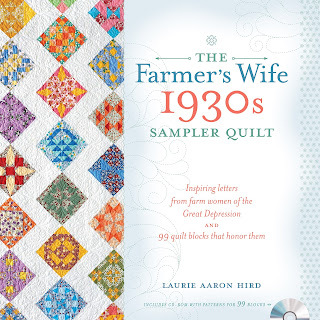 Have you joined in The Farmers Wife 1930's Quilt Along ?- you can click here for all the details over at Angie from Gnome Angel Blog. #93 Starlight using Paper Foundation Piecing. 2. Always pre-sew your papers. After printing out your pattern onto your paper (I just use regular printer paper) trim your pieces to the dotted line and then take out any thread from your machine (top and bobbin). Sew over each of the lines to "punch" a hole into the paper. 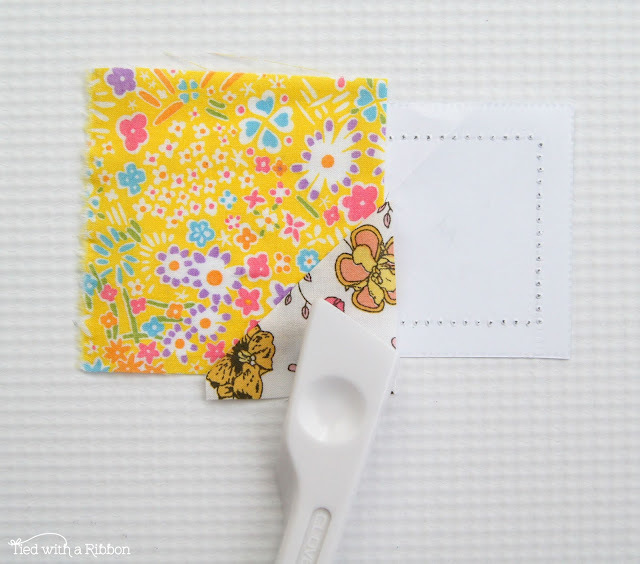 This will make it easy to tear later with these perforated lines. 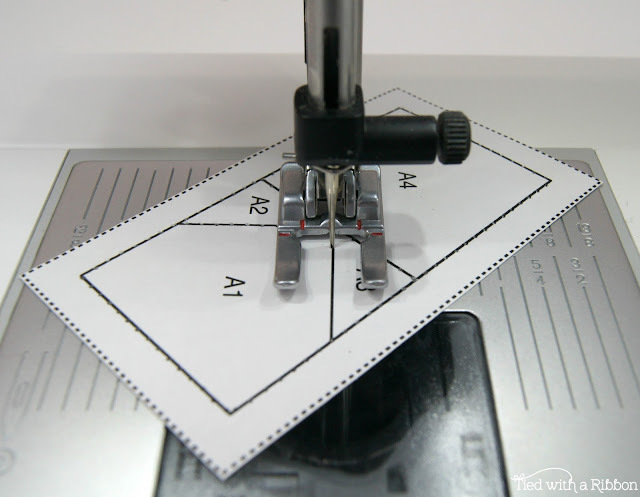 I love to use an Open Toe Foot on my machine for this - it makes it so much easier for you to see where you are sewing. 3. 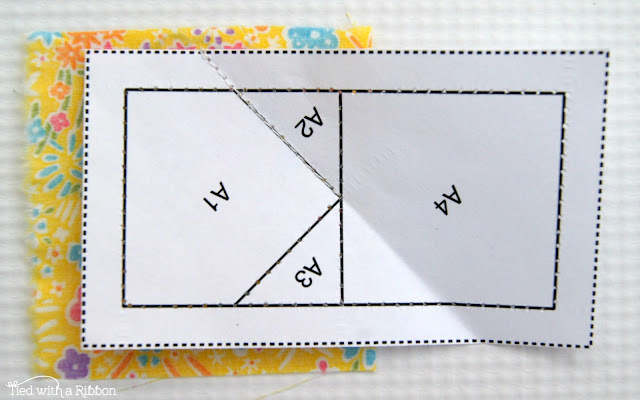 When sewing your lines always turn the "Stitch Length" to 2.0. 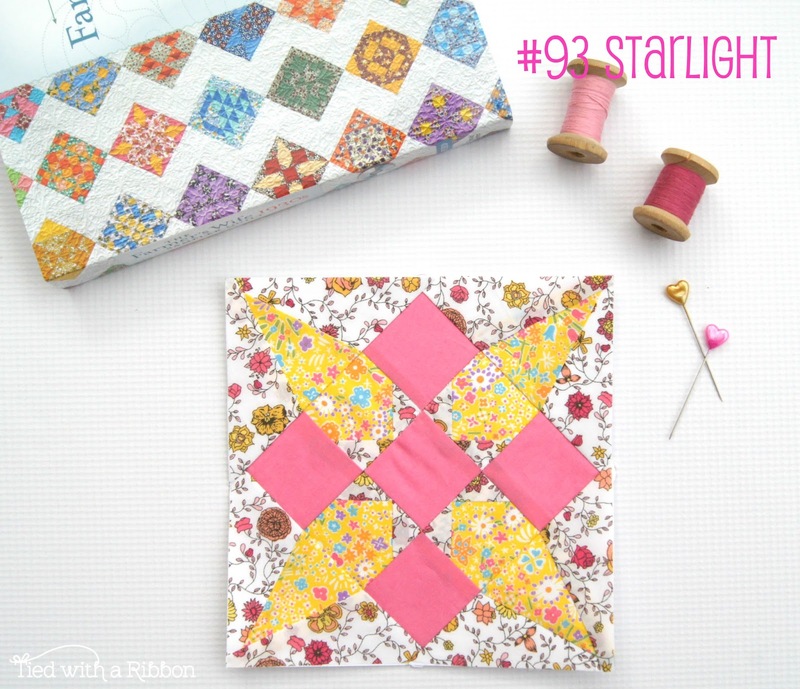 This smaller stitch ensures the security of the stitching against tearing. 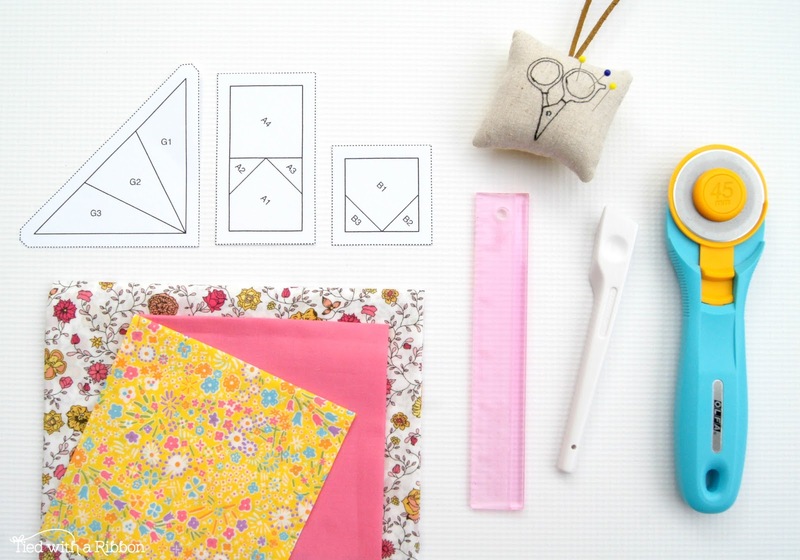 Always "Backstitch" at the beginning and ending of a line. Run your stitch from the middle out to past where the seam will finish. 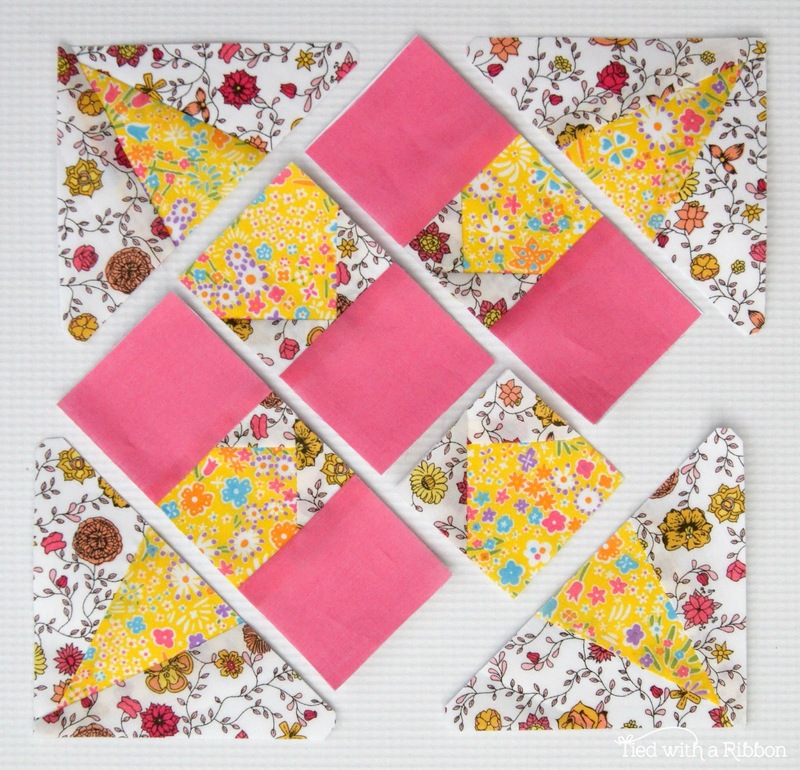 This will ensure you don't have any holes in your pieces later once you join the next piece. 4. Use your "Add a Quarter" Ruler and Rotary cutter to cut the excess fabric from your piece. 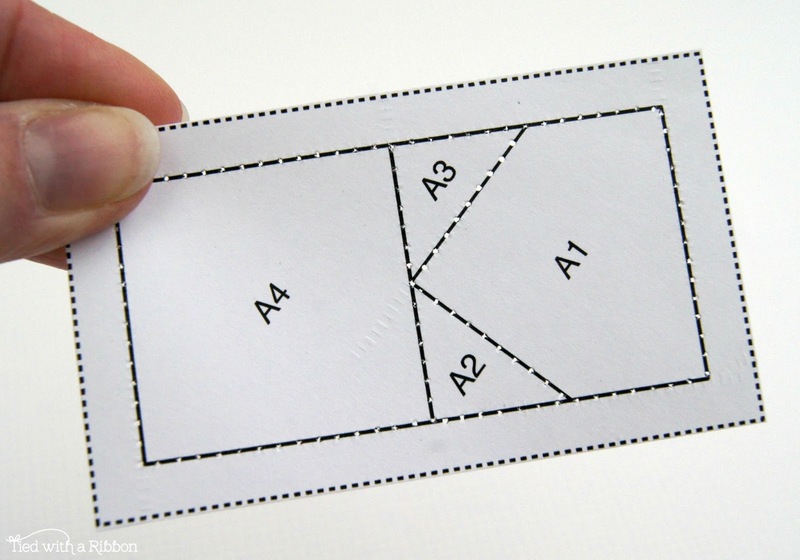 This gives you a perfect 1/4in seam allowance. 5. 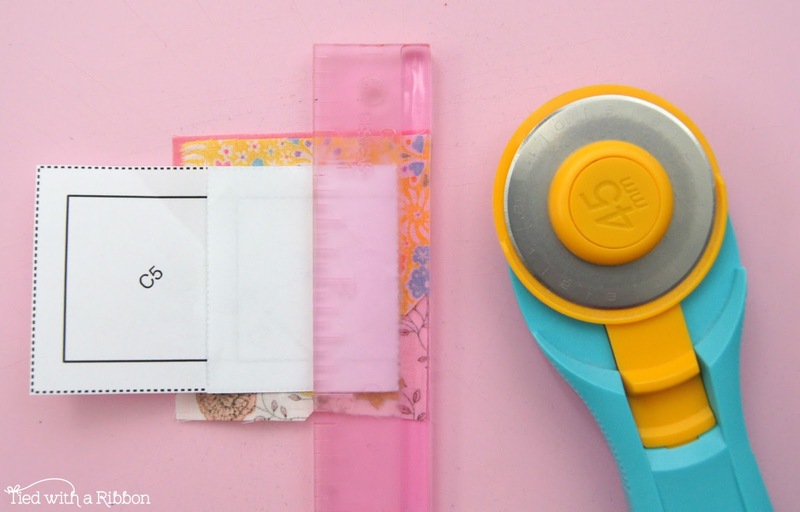 Using a "Finger Presser" will mean you don't have to run back and forth to the iron each time. 6. 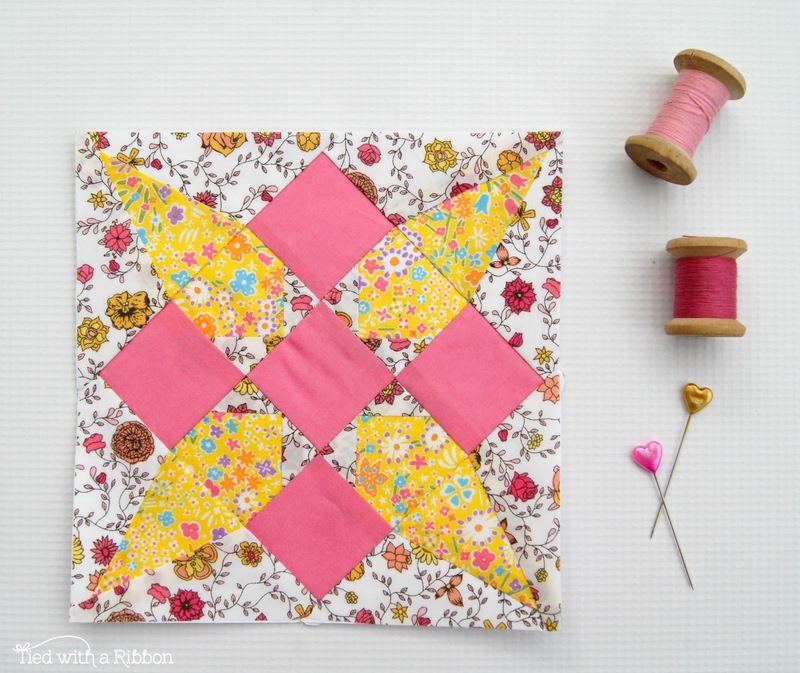 I like to hold the last piece to be sewn down with a pin. 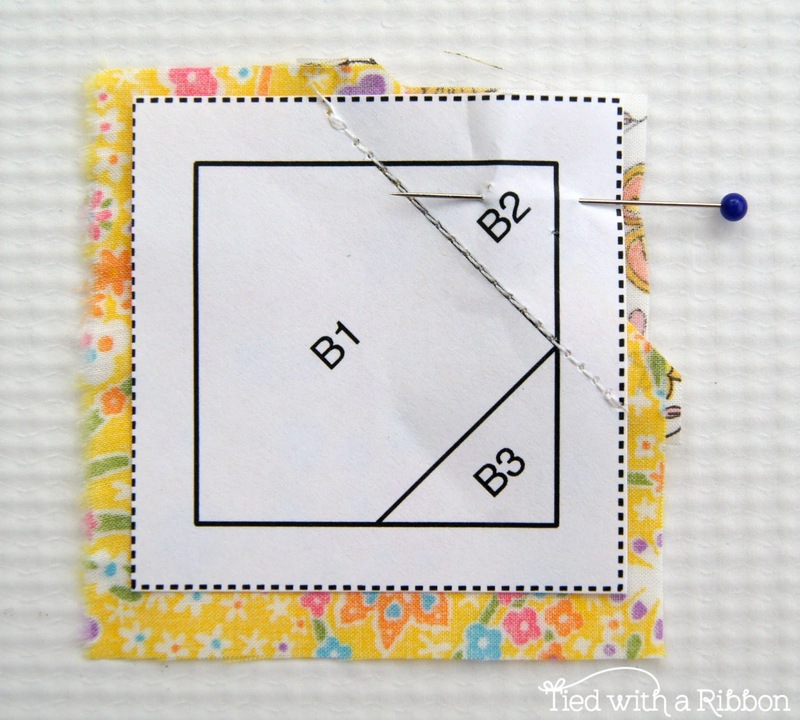 As you can see here I have already sewn down piece B2 and next I will be adding piece B3 - the Pin is well out of the way of sewing line B3. (NEVER sew over Pins!) 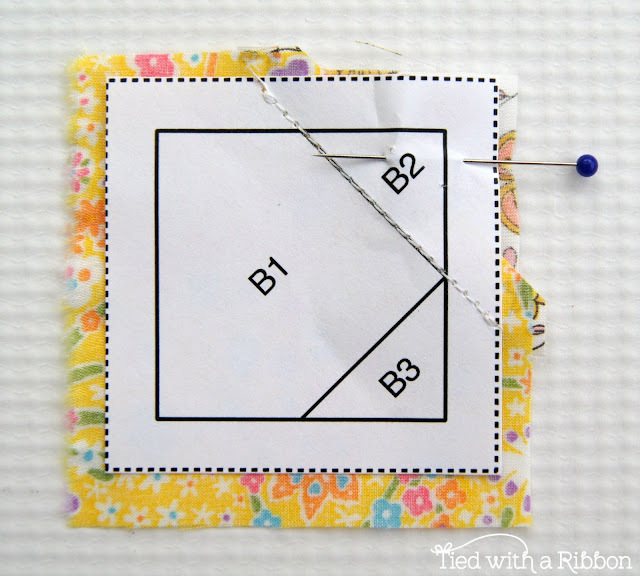 This pin will keep piece B2 out of the way while sewing the next piece. 7. Always ensure you followed the lettered/number order to ensure all of your pieces are sewn in the correct order. 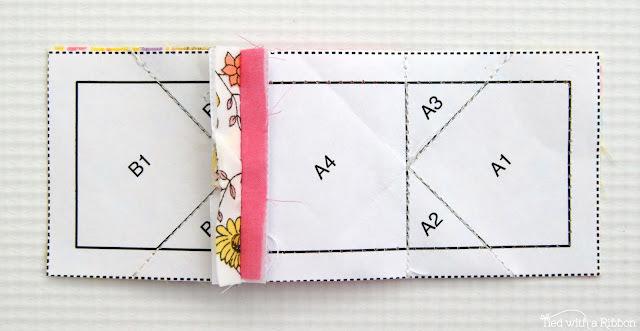 Place out all of your sewn pieces before sewing together to ensure you have each piece in the correct position and orientation. 8. Press seams open when you Paper Foundation piece. This ensures the bulk is distributed evenly. 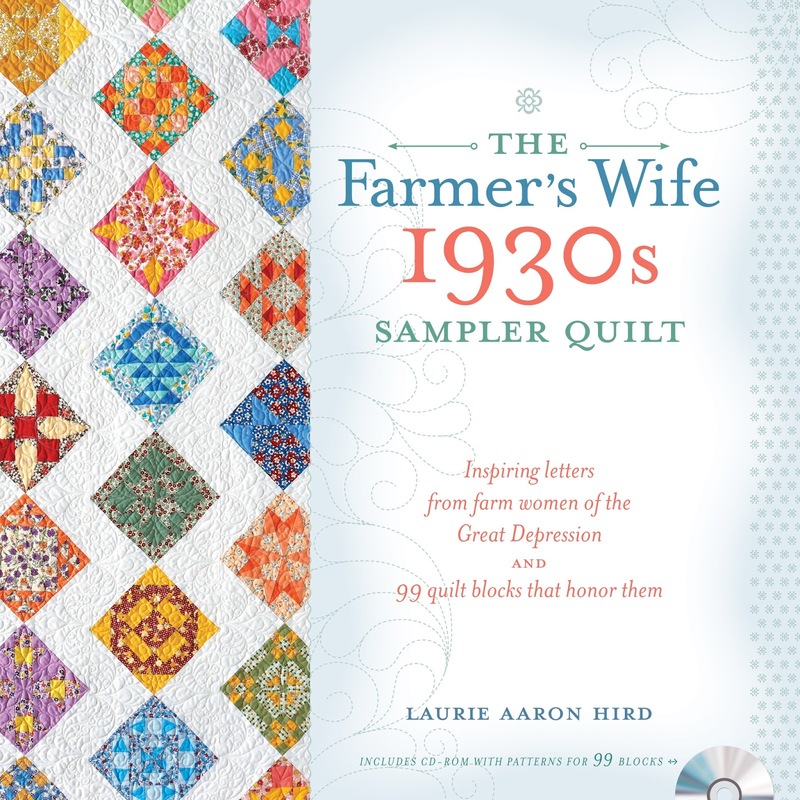 I hope that helps with some of my best tips and techniques for Paper Foundation Piece sewing. Great post. I like your work. Thanks for sharing..